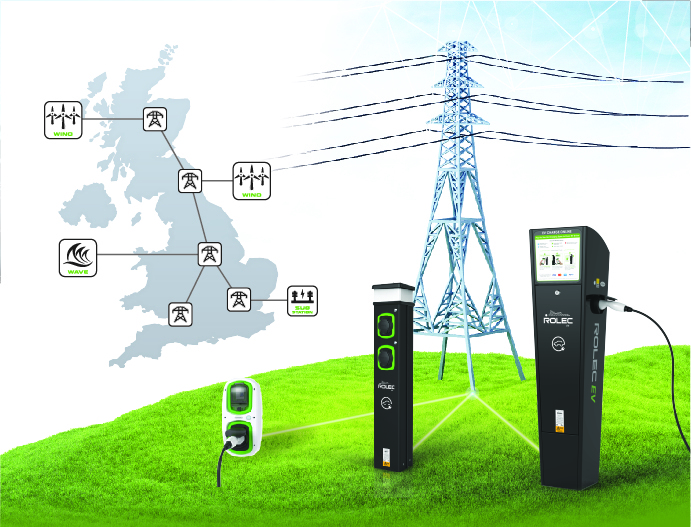 EV GridSmart Online enables the current electrical infrastructure to be used as efficiently as possible on a domestic, local, regional and national level by supporting the balancing of traditional electrical loads with the new demands being placed on the grid by EVs. Rolec’s managing director, Kieron Alsop comments: “With record EV sales throughout the UK, as well as legislative changes to encourage EV uptake, the need to support the country’s electrical infrastructure has taken on a new urgency. Kieron continues: “EV GridSmart Online has been designed to work alongside the national grid to intelligently monitor the electrical demand of both the home and its EV. This domestic electrical demand data is then relayed to a cloud based back office. “At this point, in association with local electrical infrastructure data (i.e. supply availability/cabling network, etc. ), EV GridSmart Online will make an informed judgement on whether to temporarily decrease the supply available to EVs in a particular location. Kieron adds: “In addition to protecting the local electrical infrastructure by managing EV charging, EV GridSmart Online can also be expanded to manage electrical infrastructures at both regional and national levels. Kieron concludes: “The Rolec EV GridSmart Online effectively buys much needed time to invest in reinforcing the country’s national electrical infrastructure by managing the immediate effects of EV electrical demand across the UK. “As well as monitoring, managing, and balancing the electrical loads between traditional demands and EV, GridSmart Online can also be used to call in (where appropriate) supplementary, or even green, electricity supplies from sources such as wind farms, solar fields, wave generation, battery storage and similar.